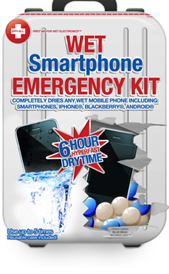 Meet the Wet Smartphone Emergency kit from Dry-All, originally used to protect moisture sensitive military equipment. It has been used to keep gun safes dry and for moisture removal for hearing aids. It is now being used for drying wet cell phones, wet smart phones, wet electronic tablets, wet iPods, ipads and other electronic items. This kit absorbs all of the moisture in the wet phone quickly, allowing the phone to continue working as normal without losing your contacts, applications, pictures, or music. Woo-Hoo! The Wet Smartphone Emergency Kit, much like an emergency medical kit, is always a good idea to have on hand in case of a wet cell phone emergency. The kit boasts a 100% success rate when all of the products’ directions are followed. At that rate of success, why not have one for emergencies, you know, like when you’re shivering behind your clothes while strangers take all your stuff and load it into your car! See a real bionic hand in action! Conventional. Very useful in doing business even if not in the office or at home.